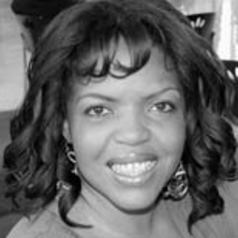 Ebony O McGee is an Assistant Professor of Diversity and Urban Schooling at Vanderbilt University’s Peabody College and a member of Scientific Careers Research and Development Group at Northwestern University. She received her Ph.D. in Mathematics Education from the University of Illinois at Chicago; and she was a National Academy of Education/Spencer Foundation Postdoctoral Fellow and a National Science Foundation Postdoctoral Fellow. As a former electrical engineer, she is concerned with science, technology, engineering, and mathematics (STEM) learning and participation among historically marginalized students of color. Her research focuses on the role of racialized experiences and biases in STEM educational and career attainment, problematizing traditional notions of academic success and what is mean to be successful yet marginalized, and mathematics identity and identity development in high-achieving students of color.